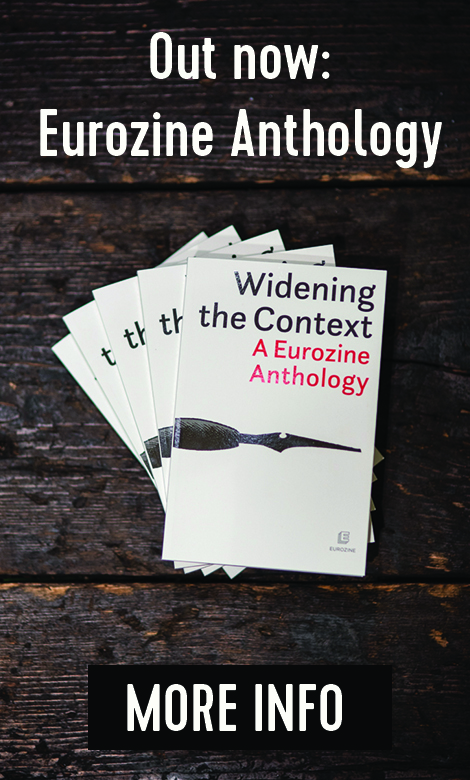 Eurozine’s series of reports on national debates in Europe in the run-up to the EP elections continues. Views from Maribor, Vilnius and Paris suggest that, amidst the European ennui, the green shoots of grass roots democracy may be showing. In Slovenia, a lively public debate is underway ahead of the EP elections in May. Talking points range from the new moral populism, prompted by the case of a politician who disgraced himself by stealing a sandwich, to the legacy of World War II and the European debate on migration. In Lithuania, on the other hand, levels of interest are low. 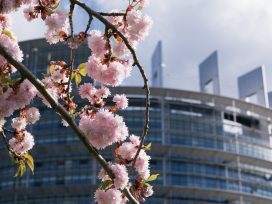 Despite a huge surge in the number of candidates and the emergence of new Eurosceptic voices, the EP elections are getting nowhere near as much coverage as the local elections in March and the presidential elections on 12 May. Would this be the case if European institutions were to pay more attention to cross-border issues, such as Russian aggression and the construction of a nuclear power plant in Belarus, not far from Vilnius? The political climate in France remains tense ahead of the European elections. In a febrile domestic climate, Emmanuel Macron took the liberty of publishing a letter to the citizens of Europe, having opened le grand débat national at home. Whether a new connection between national and European politics will emerge remains to be seen; at any rate, levels of interest in European politics is at an all-time high, something for which Macron can take credit. Three events have marked the run-up to the European elections in Slovenia thus far. The first is the resignation of an MP from the increasingly popular party of prime minister Marjan Šarec, the List of Marjan Šarec (LMŠ), a member of the Alliance of Liberals and Democrats for Europe group (ALDE). Surveys from Brussels predict LMŠ to take three or four of Slovenia’s eight MEP seats. The MP in question, Darij Krajčič, was dramatically sacrificed by the government in the wake of an unusual incident. After being made to wait quite some time to pay for a sandwich in a shop, he angrily walked out without paying, claiming that he wanted to ‘test the security system’. He took the sandwich into parliament and revealed his ‘experiment’ in a public debate. Then he went back and paid for the sandwich. 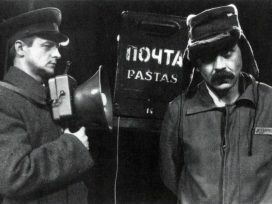 The provocative act attracted considerable media attention. Concerned that this could be detrimental to its prospects of success in the upcoming elections, the LMŠ demanded that the MP resign, which he did. Janez Janša and his liberal-conservative Slovenian Democratic Party (SDS), the leading opposition party and an EPP member, never miss an opportunity to take sides with Viktor Orbán in the debate over the suspension of Fidesz from the European People’s Party (EPP). The Slovenian MEP Milan Zver (SDS) has set the tone, branding Orbán ‘the sole winner of the migration debate on the EU level’. In the meantime, a petition is calling for the resignation of the Italian president of the European Parliament, Antonio Tajani. In a speech delivered near Trieste, Tajani referred to parts of Croatia and Slovenia as Italian, a somewhat revisionist interpretation of the Slovenian-Italian border formed during World War II. 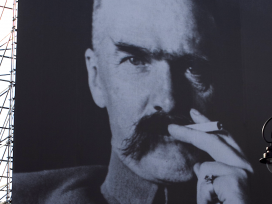 He then denied fascist tendencies. Janša reacted by stating that Slovenian communists killed more Slovenians than the fascists. Thus, a new moral populism toppled an LMŠ MP, while a new political ‘purism’ took hold of the SDS. Completing the triad of developments that form the preface to the European elections is, a dispute over contested fascism. The likely winner is of the elections is the SDS, which will continue to defend Orbán against the EU. 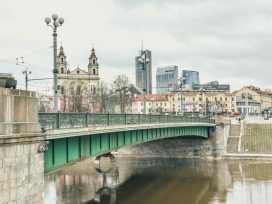 The mayoral and municipal elections in the first half of March have taken centre stage in Lithuania, along with the presidential election on 12 May, just days before the European elections. Even when local elections are over and the results are known to the public, national and regional media will continue to focus on presidential candidates. But European elections have always been considered less important than national ones in Lithuania, so this is no surprise. Despite the dearth of national media coverage, 14 political parties are listed for the EP elections. The mainstream candidates announced so far are fairly predictable and most of the larger parties of the Left, Right and Centre are more or less pro-European. For the first time, however, public election committees have been allowed to nominate their own candidates. Thus, in addition to the ‘traditional’ parties, there is now an array of hastily formed quasi-political or quasi-civic groups seeking election to the European Parliament. It is to be seen whether this move at long last introduces an element of grassroots democracy or, on the contrary, whether it simply provides an alternative route in for ‘Manchurian candidates’. No less than eight such public committees, with 378 candidates in total, have been registered, despite the fact that only 11 MEPs will ultimately be elected. In 2014, parties aligned with the Alliance of Liberals and Democrats for Europe group (ALDE) secured three of these seats, with two going to the Liberal Movement. The main centre-right party Homeland Union (EPP group), the Social Democratic Party (S&D) and Order and Justice (part of the populist eurosceptic EFDD group) each won two seats. Of the other contenders who currently hold a single seat, it will be interesting to see whether the Lithuanian Farmers and Greens Union can regain ground after a surprisingly poor showing in the local elections and upset the liberal conservative consensus in May. Meanwhile, the largest election committee (of 141 candidates), a group incorporating several well-known eurosceptics, has adopted a slogan urging citizens to ‘take back our state’. In addition to candidates openly critical of the EU, some electoral committees are run by politicians who have fallen out of favour, or businessmen with mixed reputations looking to regain influence. The former president Rolandas Paksas, who was impeached and removed from office in 2004, is one of several candidates looking to return to ‘big politics’. Criticism of EU policies and institutions has recently been more prominent in Lithuanian media. Besides dismay at the distractions of European bureaucracy and the supposed weakening of national institutions, there is concern at the hesitant stance of European institutions towards the threat posed by Russia and the lack of interest in halting the hasty construction of the Astrava nuclear power plant in Belarus, not far from Vilnius. But while some disillusionment with the EU (and national policies) has been conspicuous, it would be premature to talk of despair. In France, it is traditionally said that there is no single European parliamentary election but 28 national elections – and this year probably 27. Until now, the European elections have been an occasion for French voters to show their anger. In 2014 they expressed their opposition, whether to the government of the day or to the European model, by propelling the National Front – now called the National Rally – to victory; or by simply not turning out. The greatest number of voters opted for the latter. The upcoming election is essentially a test of whether the public will approve or reject president Emmanuel Macron and his policies. Recent polls suggest that he may even triumph in a head-to-head with Marine Le Pen’s National Rally. Opinion polls parties seem to confirm the disintegration of social democracy: the leftwing vote remains fragmented. Perhaps more than in any other country, the debate in France is polarized between centrist pro-European liberals led by Macron and the anti-EU far-right led by Le Pen. There is scarcely any viable alternative. Since 17 November 2018, Macron has faced almost unprecedented opposition in the form of the ‘gilets jaunes’.1 They continue to protest but have lost momentum, as the media, politicians, and even a vast majority of gilets jaunes themselves turned to focus on the ‘Great Debate’. This is a major and unique consultation with French citizens about a wide range of political, economic, ecological and social issues. 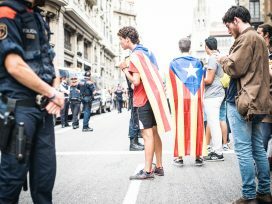 It may yet lead to a referendum, as initially intended, focusing on the main issues discussed between Macron and citizens, officials and intellectuals. But there is concern about whether all suggestions will be given equal attention. Despite Macron conducting his tour de France as if Europe did not exist, he has launched a European offensive beyond the French borders. Originally, Macron wanted the post-Great Debate referendum to be organized at the same time as the European elections. But, because of the scale of the undertaking, it has now been postponed. This will allow the European elections to return to the centre of attention. Macron’s party had intended to transform the European elections into a plebiscite on its policies, but these plans have since faded. On 4 March, Macron published a letter to the ‘citizens of Europe’ in 24 languages, calling for a ‘European renaissance’. Three days later, he launched a website called ‘Renaissance’ in 24 languages. Macron can at least claim to have made Europe a central issue and even to have created a European debate in France. French voters are more aware of the issues of the upcoming elections than in 2014; five years ago, Europe was scarcely an issue for anyone but Le Pen, with her xenophobic far-right anti-Brussels agenda. Moreover, Macron’s European initiatives have forced his opponents to reveal their true colours. For instance, Jean-Luc Mélenchon, leader of the leftwing party La France Insoumise (‘France unbowed’), published an alternative vision for Europe. The end spurt in the European elections has not yet begun. 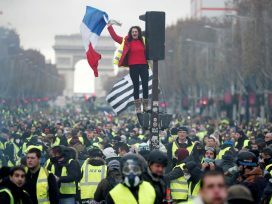 The main opposition parties and the French citizens can be likened to a pack of cyclists glaring at each other as they cruise along, waiting to see who is about to pick up the pace. Some parties have named their MEP candidates, but these appointments have been overshadowed by the Great Debate. Macron continues to set the agenda. Nevertheless, compared to 2014, there is more public interest in European politics. Though the Great Debate and the gilets jaunes movement seem to be purely focused on French politics, never before have the European elections been talked about so much. 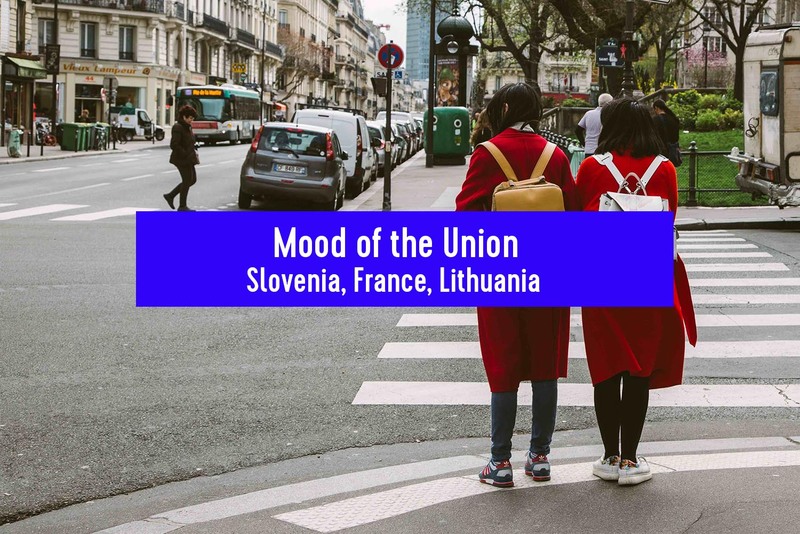 Mood of the Union is published by Eurozine and sponsored by the ERSTE Foundation and the National Endowment for Democracy. The gilets jaunes belong to an integrated but invisible middle class whose grievances are centred on the increasing unaffordability of their commuter lifestyle. The protests highlight Emmanuel Macron’s failure to form a consensus, but by rejecting engagement with the political system the gilets jaunes themselves fail to offer a way out of the democratic crisis.